Whatever the occasion, whatever the emotion, there is a rose that suits it perfectly. 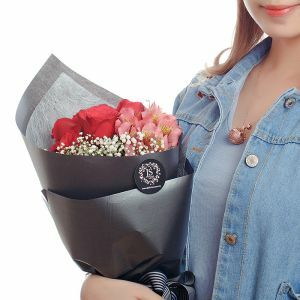 Our fully customizable rose bouquets give you the freedom to express yourself in the perfect way, to make sure the ones you care about most always know just how you feel. Red Roses: It’s probably safe to say there’s no more enduring symbol of love and beauty than red roses. Almost everyone knows that it is the perfect way to declare your feelings of romantic love. Whether in celebration of an anniversary, a wedding, or Valentine's Day. 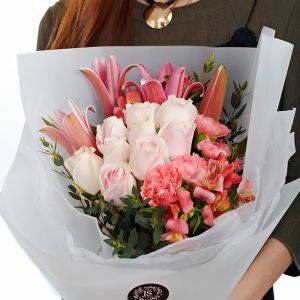 Pink Roses: These convey thoughtfulness, passion, sentiment, and pack a contemporary color punch, pink roses are perfect for numerous different occasions when love isn't the only thing on your mind. White Roses: Not upstaged by some vibrant colour, the formal, structural beauty of the rose is showcased to its best advantage in a bouquet of white roses. Suited to reverent occasions, the white rose is a fitting way to honor a friend or loved one in recognition of a new beginning or a farewell. Their pure color conveys respect, pays homage to new starts and expresses hope for the future. Yellow Roses: With their optimistic hue and general association with good cheer, yellow roses are the perfect way to toast friends, lift spirits and send a general wish for well-being. 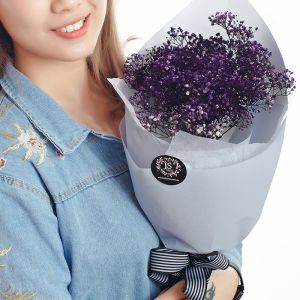 Purple Roses: Most commonly associated with enchantment, purple roses are used to express "love at first sight". Darker shades convey a sense of majesty and splendor. 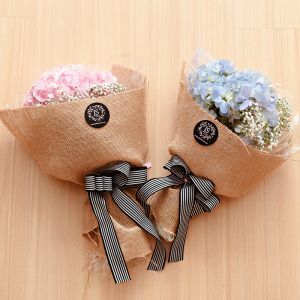 Blue Roses: Blue roses embody the desire for the unattainable. 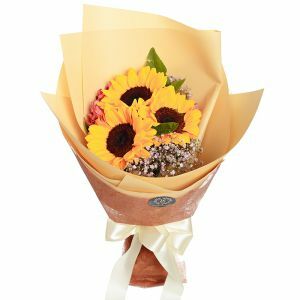 They say "I can't have you but I can't stop thinking about you"
This product is dispatched to you by the Cik Bunga Craft and Gifts. Please refer to product details for time needed to make this product.